Ninety years ago, NC State began offering degrees in mathematics and science education. Today, the NC State College of Education stands as North Carolina’s largest supplier of STEM educators. These educators not only fill high-need subject areas, they also rank among the state’s most effective teachers. For the past 15 years, just a week before school starts each year, Karen Hollebrands has received at least one email from school districts in North Carolina – sometimes many more – asking for help in finding mathematics teachers. 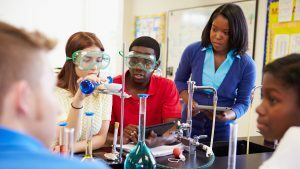 It’s a lament heard nationwide, too: There aren’t enough qualified teachers to inspire students to pursue science, technology, engineering and mathematics (STEM) careers. But Hollebrands and her colleagues at the NC State College of Education tackle that problem at full velocity every day, with departments dedicated to preparing teachers in STEM-related disciplines. The Department of STEM Education emphasizes preparing middle and high school teachers; and through the Department of Teacher Education and Learning Sciences, the college offers the only STEM-focused elementary education program in the state. The intentional focus on STEM is reaping good results. Collectively, the NC State College of Education is the largest supplier of STEM educators in North Carolina. NC State has graduated each year the most students who passed the licensure exams in STEM education disciplines since at least 1998-99. The most recent data available shows that the college graduated 107 students who received their licensure in STEM-related fields in 2014-15. That’s 39 percent more than the next school in North Carolina. “It’s a very special community who believes in having licensed teachers equipped with basic and advanced knowledge, not just in the pedagogy but also the core disciplines,” says Aaron Clark, Ph.D., Professor of Technology, Design and Engineering Education and the Department of STEM Education’s Director of Graduate Programs. The NC State College of Education leads the state in preparing STEM educators. Teacher preparation is rigorous in the College of Education, Hollebrands says. In math education alone, undergrads take a minimum of 39 hours of mathematics. Students can also double major and earn two degrees: one in mathematics education and a second degree in mathematics or statistics. In addition, all students take five methods classes. Other institutions may require only two methods classes for future teachers, giving them less time to build pedagogical skills. The NC State College of Education and The Innovation Project, a nonprofit collaborative of 24 public school districts in North Carolina, announced Oct. 2 a partnership that will create a pipeline of teachers for rural and semi-rural areas in North Carolina: the TIP Teaching Scholars Award Program. In its pilot phase, the TIP school districts will provide $10,000 financial awards to at least 10 juniors who teach for at least two years after graduating in one of five public school districts: Cabarrus, Johnston, Lenoir, Onslow and Wayne counties. “We know that in order for teachers to be successful, they have to know their content as well as how to teach it,” Hollebrands says. In science education, students study a major content area, such as biological sciences, and take at least two courses from each of two additional content areas in the sciences, such as chemistry and physics. They end up completing as many as 54 content hours, ensuring comprehensive licensure. Many science education students also major in chemistry, physics, earth or biological sciences. 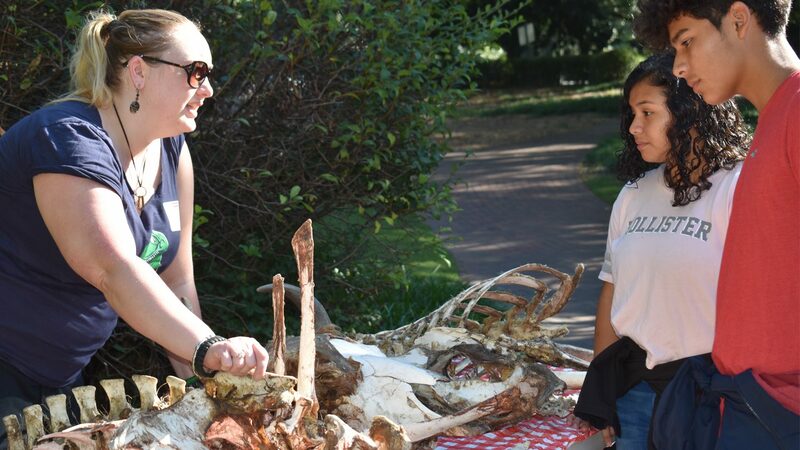 “The extensive coursework prepares our students with the content knowledge to teach the science courses schools may need them to teach, which can be especially important in smaller districts in more rural parts of North Carolina,” says Meg Blanchard, Ph.D., Associate Professor of Science Education and Research Director of the Science House, adding that pre-service teachers also present lessons at conferences, work with researchers in the college, and volunteer at numerous outreach events, such as the Science Olympiad, to give them additional professional experiences. Even those at NC State who plan to teach elementary education engage in upper-level content. For example, the pre-service teachers take a Conceptual Physics for Elementary Education Teachers course that helps them re-learn foundational concepts around everyday phenomena like mechanics, properties of matter, heat, sound, electricity and magnetism. This allows them to “provide their future students richer opportunities to learn about these ideas,” says James Minogue, Ph.D., Associate Professor of Elementary Science Education and Director of the Department of Teacher Education and Learning Sciences’ undergraduate programs. The college also collaborated with the university’s mathematics department to develop two integrated courses called Calculus for Elementary Teachers. “Not that [teachers] are going to be teaching calculus at the elementary level, but they still find ways to make it applicable in their classrooms, say when teaching about rational numbers. They really profit from this course,” Minogue says. They also profit from a deep dive into instructional technology, Bria Cofield ’16 says. She is in her second year as a fifth-grade teacher at Hortons Creek Elementary School in Cary, but has already noticed that she has more experience using technology in the classroom than some of her colleagues. “They may have been teaching longer, but I have found that I’m ahead of the curve when it comes to digital tools, so that’s definitely been a help,” says Cofield. The data also show that NC State-produced teachers are ahead of the curve. According to performance reports from the N.C. Department of Public Instruction, beginning teachers from NC State received accomplished or distinguished ratings in measures of teacher effectiveness in 2015-2016 (when the most recent data is available), exceeding statewide averages in areas such as content knowledge, leadership ability and fostering good learning environments for diverse groups of students. Cumulatively, their averages across multiple variables ranked among the best in the state. NC State’s students also stand among the state’s best on their passage rate on licensing exams. They had a 100 percent passage rate on licensing exams in mathematics, science and technology education in 2014-15 (when the most recent data are available), and elementary education majors had a 98 percent passage rate. “As the STEM flagship of the state, we are really situated in a place where we can turn out graduates who are qualified to teach the higher-level AP content, but also understand how students think about the content they are learning,” Hollebrands says. 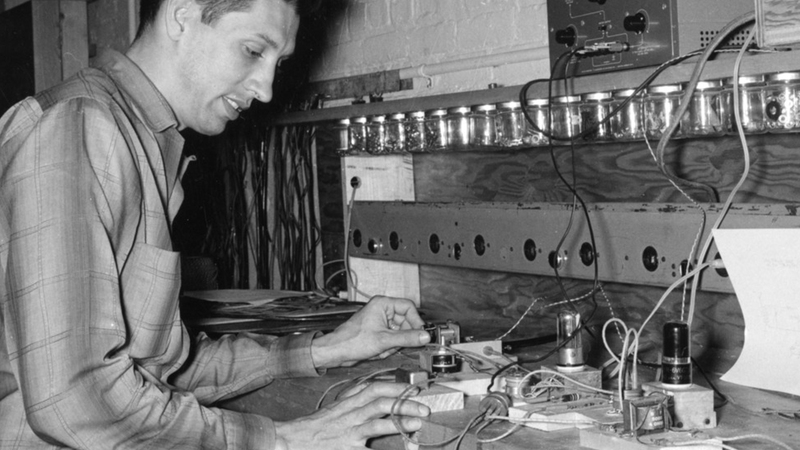 From its inception, NC State was poised to become a leader in STEM education. Its foundation as a land-grant college to teach agricultural and mechanic arts expanded as other fields proved to be natural fits. Throughout the 1920s, NC State added schools of engineering, textiles and business. In 1927, the school began offering degrees in math and science education. 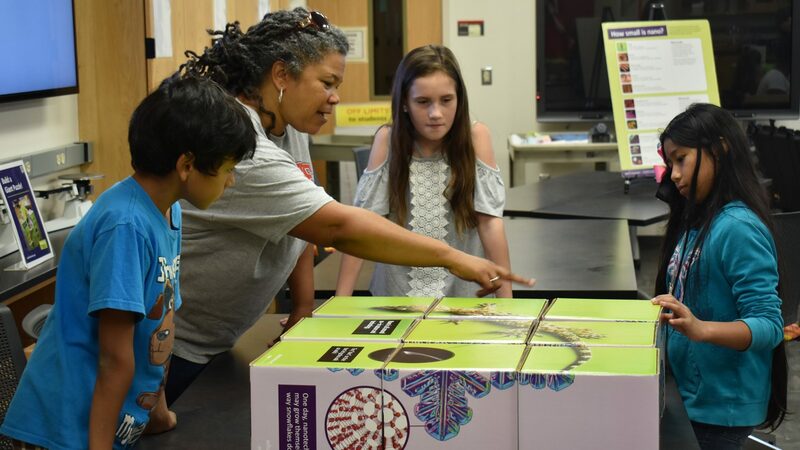 NC State officially created the Mathematics and Science Education Department 22 years later, paving the way for the programs today that prepare K-12 educators in STEM. “We hear a lot how it’s important to get students into the STEM pipeline as early as kindergarten. Teachers are critical actors in that,” Minogue says. Producing STEM educators across the K-12 spectrum matters because research suggests that early exposure to STEM can yield positive outcomes for student learning across the board, especially in the younger years when children’s inquisitive minds are ready to try new things without fear of failure and with self confidence in their own abilities. Teaching those fundamentals to elementary school students sets the stage for teachers in later years to inspire students to go beyond the basics to choose STEM-related classes such as robotics, coding, 3D modeling and digital electronics — a sampling of the types of courses pre-service secondary school teachers are prepared to teach when they leave the College of Education, Clark says. In addition to preparing STEM educators for the state, the NC State College of Education provides resources and professional development opportunities for educators, such as the NC State Triangle High-Five Math Summit. The college also hosts STEM-related events for K-12 students to foster their interest in STEM education. Explore our photo essay that looks at one of those events: our STEM Education Day, when faculty, staff and students held 20 hands-on, interactive demonstrations related to STEM education for over 400 K-12 students and their families Sept. 23. Though the need for STEM educators is felt across the state, the problem is magnified in rural and underserved communities. So the College of Education has built not only a pipeline of STEM educators, but it has been intentional to encourage educators to work with underserved populations and communities. This academic year the college is launching the TIP Teaching Scholars Award Program with The Innovation Project (TIP), a nonprofit collaborative of 24 school districts in North Carolina. In the pilot phase, the program will provide $10,000 in financial awards to at least 10 highly qualified teachers who graduate from NC State in May 2019 and who commit to work for at least two years in one of five school districts in rural and semi-rural areas: Cabarrus, Johnston, Lenoir, Onslow and Wayne counties. Preference will be given to those who teach a STEM discipline. “We know that students’ strong content knowledge and pedagogical skills will enhance student learning in North Carolina,” Blanchard says. In addition, the College of Education students’ field placements begin as early as their sophomore year; and they are placed in a variety of classroom settings that could be located anywhere from affluent suburbs to high-needs communities. The science education students, for example, learn how to create a positive classroom culture that will include all their future students. The program also stresses effective practices (such as planning, asking questions that stimulate higher order thinking, and problem solving) and formative assessment of student learning. “We want our students to develop into a professional, and we work with them to think about who they will be as a teacher — their teacher identity — based on their unique attributes and interests,” Blanchard says. Methods courses also specifically include examinations of diverse learners, and students take courses on diversity and cultural responsiveness. Why learn probability, they ask? Leak Borden’s strategy aligns with the preparation she received at NC State. Written by Diana Smith. Edited by Cherry Crayton.